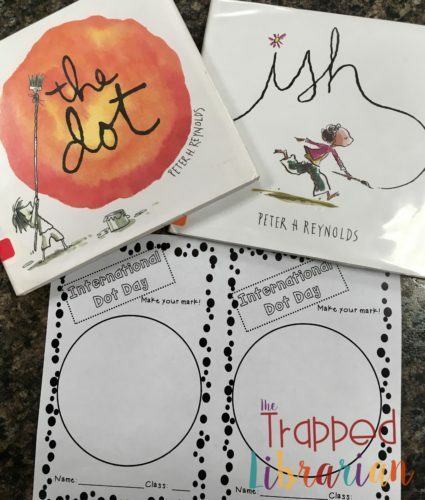 You are here: Home / Book Love / Get Creative With Your Students on International Dot Day! This year is the 10 year anniversary of International Dot Day and the 15th anniversary of the publication of The Dot. 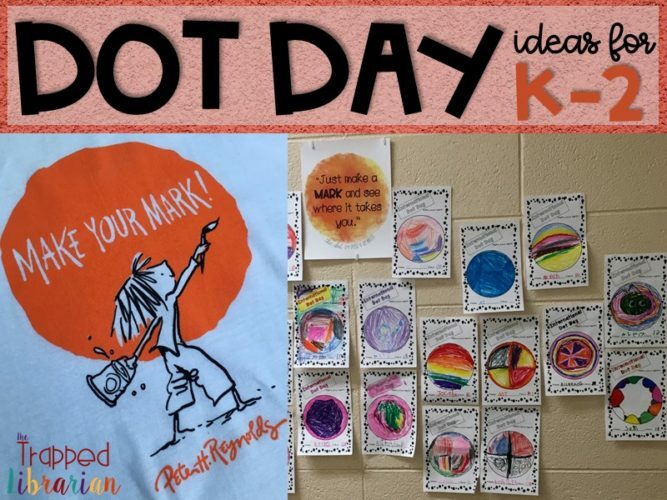 People all around the world celebrate creative expression, inspired by Peter H. Reynolds’ picture book, The Dot. Every year, Dot Day falls on or near September 15. 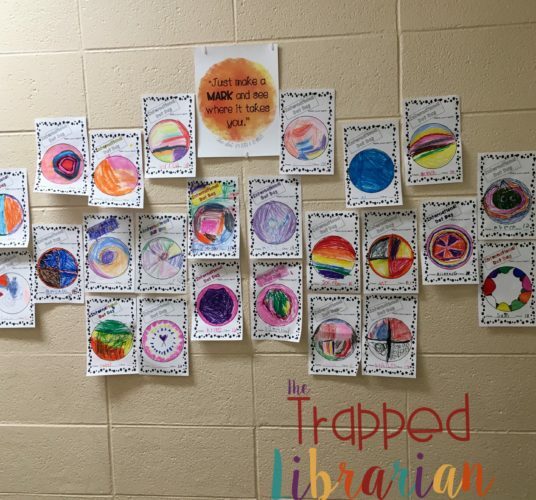 I’d like to share how I helped my K-2 students explore their own creativity this year for Dot Day! This post contains affiliate links. If you click through and make a purchase, I may receive a small commission at no additional charge to you. I like to stop and discuss how Vashti feels at different points in the story, inviting students to point out clues to her feelings (facial expressions, things she says and does). Then it’s great to discuss how she changes throughout the story and how differently she feels at the end when she helps a new friend start on his creative journey just like her teacher helped her. Emily Arrrow has written a wonderful song to go with the book. My students loved learning the motions and singing along. We also Skyped with Emily and this was the first song we sang together! Such fun!! Explore other books by Peter H. Reynolds. Several of my students commented that there should be a story about “the line” and were thrilled to find out that there are more books! 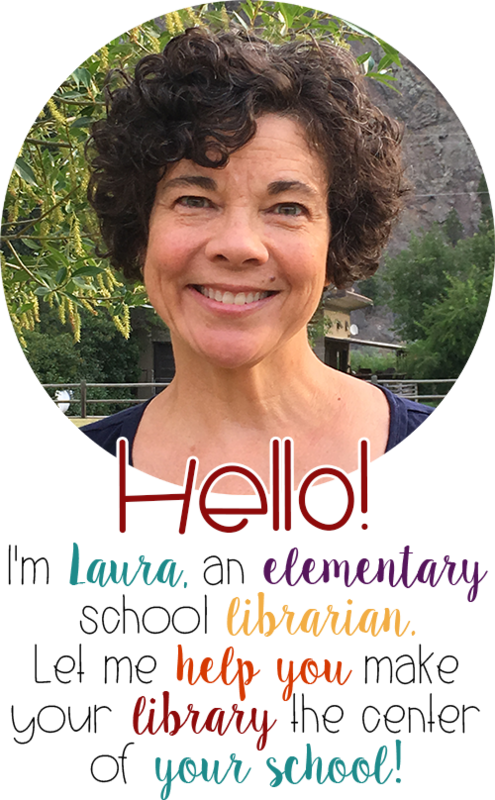 Of course we also read Ish and Sky Color, which are part of the “Creatilogy Trio.” If your school subscribes to Tumblebooks, The Dot and Ish are available there as eBooks, along with several other titles by Peter H. Reynolds. You can sign up and download the free educator’s guide at the International Dot Day website. I purchased this shirt from the Dot Central website! Display student art in a gallery. I put out markers, crayons, and gel pens and asked my students to create their own dot for our art gallery. They had fun being creative, looking at the dots from others, and seeing their creations on display! I printed this free poster from Emily Education to include in our gallery. 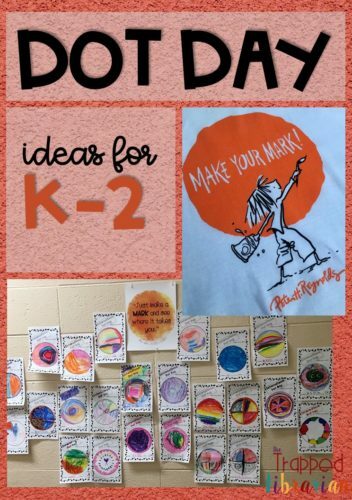 Jenny from Art with Jenny K has a great blog post and video about art projects for Dot Day. You can connect with others who are celebrating and get some great ideas by following the hashtags #internationaldotday and #dotday on Instagram and Twitter. 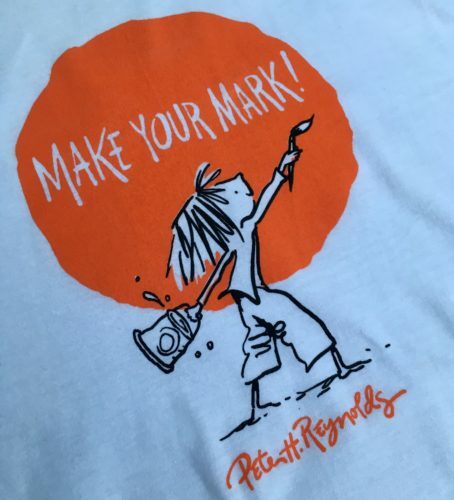 You can learn more about Peter H. Reynolds and The Dot at the Dot Central website. Your students can make their dot come alive with Quiver Vision’s free app and coloring page! Read about it in this post! If you would like to use my “Make Your Mark” page, you can download my free printable here! Do you celebrate International Dot Day? Share your ideas with us below!